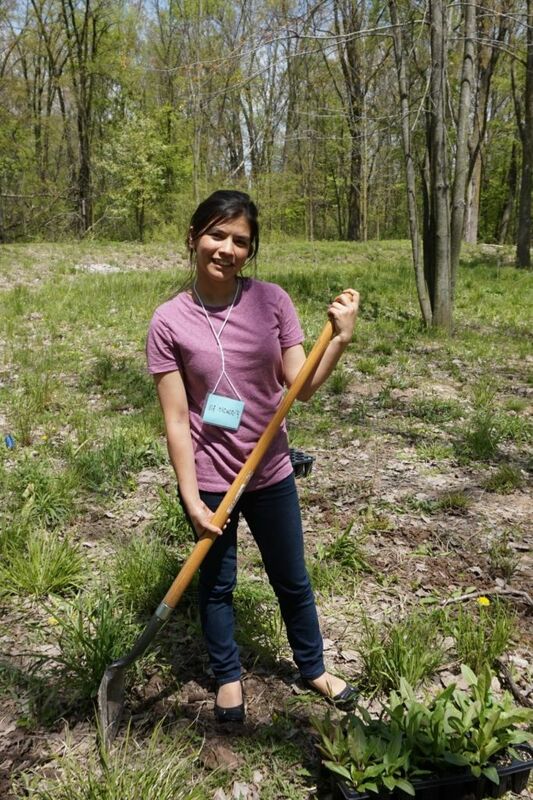 Upward Bound student planting in a bioswale at Calvin College as part of Teen Rally. Cushway and her colleagues integrate environmental education and stewardship projects in every grade-level at Frost, an innovative yet uncommon approach. The Upward Bound program serves low-income high school students and students whose parents have not gone to college by creating opportunities for them to see what’s possible and prepare for the college experience. The Teen Rally Upward Bound group came from two public schools in Grand Rapids. Some students go on to careers that advance science and environmental protection. Those who start early and stick with it drive innovation. Their leadership and energy, not just showing up to projects, is highly valued by the schools and nonprofit partners who work with them. One Upward Bound student I met was already dedicated to becoming an environmental engineer, clearly inspired by what he’d experienced. Another remarked “we do the same things over and over and over. I want to be a fashion designer.” Anyone know a sustainable fair-trade fashion company in Grand Rapids we can plug her into? Schools, nonprofits, and government are increasingly clearing space for youth to engage and lead in the environmental movement. Just like in a garden, clearing space means removing rocks, pulling invasive plants, and accidentally stepping on the occasional ground-bee hive. So, what’s the secret to getting youth fired up to work in the environmental field or pursue a related career? Upward Bound students learned how the bioswale at Calvin College helps keep stormwater runoff from the parking lot from entering and polluting Whiskey Creek. 1) Start’em young. Middle schoolers have less demanding schedules than high schoolers. The ink on their list of interests is still wet. Several environmental educators I’ve spoken to say getting in on the ground floor of a student’s education is great, but be sure to at least get young people engaged before they go off to high school. Engage the family as well as the student, and you’re golden. 2) Bring in community members & local government. Programs that allow young people to present their activities and recommendations to local government, generate buy-in, help people with real problems, and build tangible solutions show students that what they do really matters to people. 3) Achieve something real and do it today. What’s better than seeing your recommendations become a reality and being able to make a difference? As Ms. Cushway alluded to, youth don’t have to wait to “grow up” or go to college to be a part of something meaningful. Today holds promise too. We still haven’t cracked the code completely. Leave your own insights, reactions, and experiences with youth engagement in the comments below! Numerous education models and research points to the fact that this program is spot on. 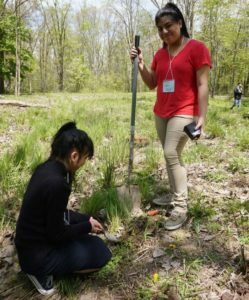 Getting youth interested in conservation work early is critical to building awareness about conservation fields (often not on the radar of many urban youth) as is the need to change attitudes about nature. Many urban youth, especially those in areas with environmental degradation or access to nature is limited often have negative impressions of nature. 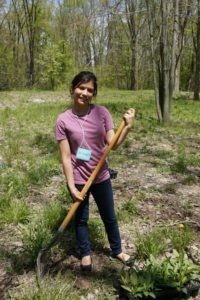 Getting the youth outside and working in the dirt on restoration projects helps to change those attitudes and puts youth onto the pathway of a lifelong connection to nature…and to its preservation. Great article! While I agree it’s important to start them as young as possible, I’ve seen that spark go off with high school and even college kids, many of whom have negative impressions about bugs and soil and other “dirty stuff” just because they’ve never really been exposed. One time at Groundwork New Orleans we were hosting a group of volunteers from a local college, and had them digging in the dirt, planting sunflower seeds. One of the students really put it together for the first time that the seed she was planting is the same seed she eats. Suddenly the life cycle of a plant made sense to her, and she was amazed that so much information and life could be contained in that little seed. So while it’s never too early to get kids involved, it’s never too late either!